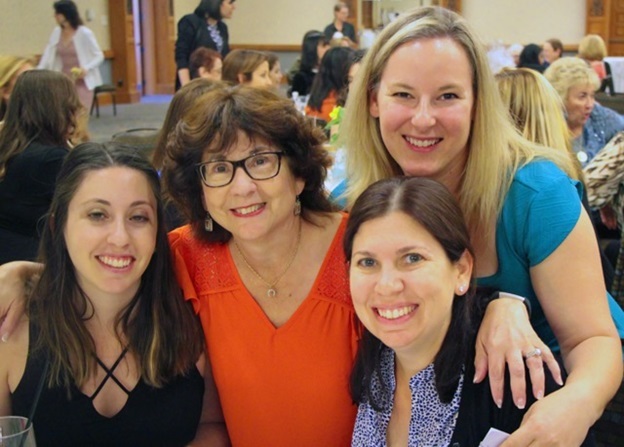 On April 30th, NA’AMAT USA’s San Fernando Valley Council held its Annual Spring Luncheon, one of its most highly anticipated events of the year. 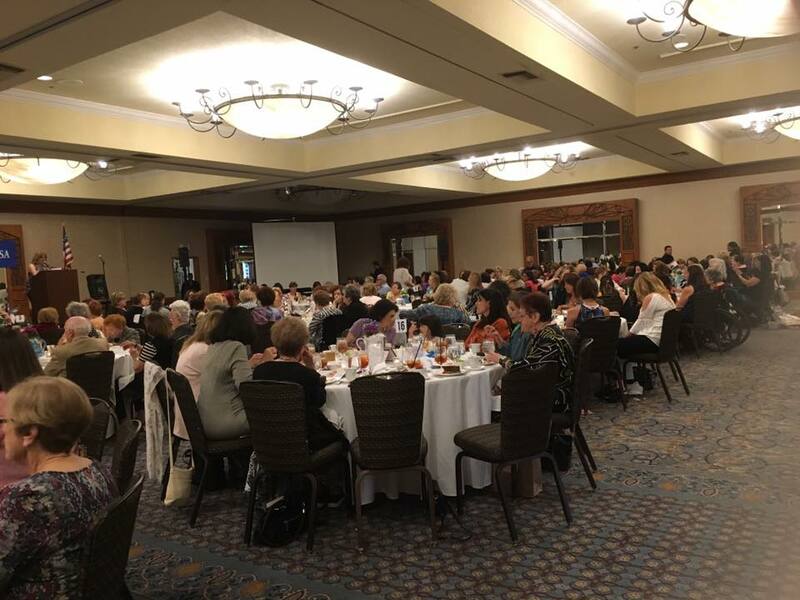 More than 200 members, family and friends convened at the Hyatt Regency Hotel in Westlake Village for a lively afternoon of food, fundraising and fun under the theme “Women Celebrating Women.” Proceeds benefitted, in part, the Alice Howard Daycare Center in Be’er Sheva, Israel. 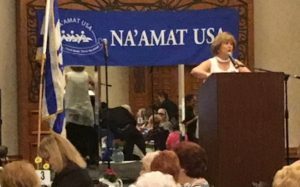 NA’AMAT USA National Membership VP Gail Simpson served as Master of Ceremonies. National Leadership Development VP Ivy Liebross spoke about NA’AMAT USA’s latest fundraising campaigns, including Tech for Teens, a Bar/Bat Mitzvah project opportunity which seeks to raise money for computers and other technology much-needed by under-privileged or at-risk students attending NA’AMAT high schools in Israel. Western Area Coordinator Esther Friedberg made the fundraising appeal on behalf of the Be’er Sheva daycare center, which opened in 2015 and was named in memory of Alice Howard, who served as president of the San Fernando Valley Council and as national president of NA’AMAT USA. “Alice was a role model to many of us who joined while she was in a leadership position,” Friedberg said. “She was a second generation ‘NA’AMATNIK,’ her mother being a Pioneer Woman, as it was known then. Alice passed on her dedication to and love of this organization to her husband, children and grandchildren who are now third and fourth generation Life Members and Friends of NA’AMAT.” Funds raised at the luncheon will be used for improvements and new equipment to accommodate the bustling daycare center’s growing number of children. The event also included a boutique and silent auction. Entertainment was provided by performing arts students from Milken Community Schools. Gift favors were provided to all those in attendance by Milani Cosmetics. Linda Lewensohn, chairperson of the San Fernando Valley Council’s Mitzvah Chapter, served as event chairperson.